The Pale blue room and the Torquoise one are completely independent rooms with a spacious bathroom, a with lots of space . 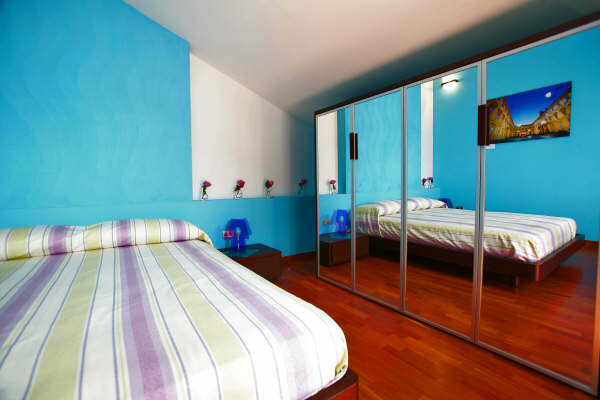 These rooms have been designed ideally for either a family group or a number of friends travelling together, since there are five beds altogether. The pale blue room is particularly spacious and welcoming, and the teak furniture with milk-white inserts blends in with the turquoise parts and the pale shades of the upholstery. 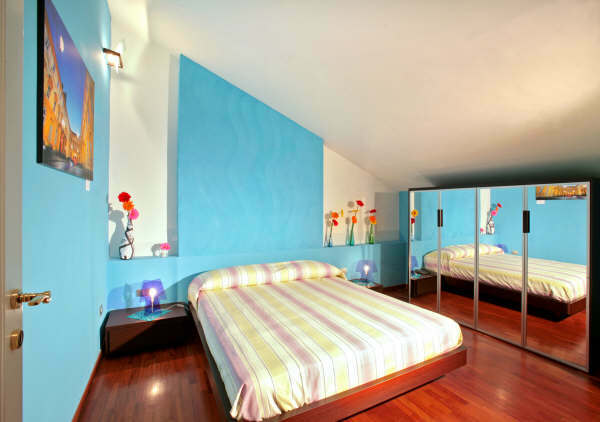 The turquoise room is furnished in wengè with big mirrors which create suggestive images and make the room brighter. 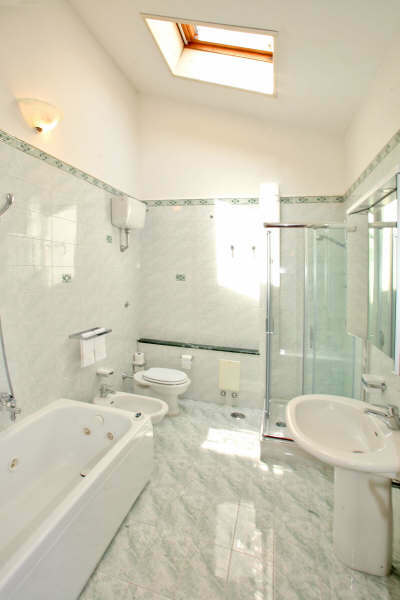 The spacious shared bathroom has abath with hydromassage and a shower. Both rooms have a splendid view of Vesuvius and open out onto a small shared terrace decorated with enchanting handmade majolica tiles depicting an arbour in flower.